Handcrafted with genuine steel horseshoe nails and color coated copper wire. This cross is 100% handcrafted from start to finish. 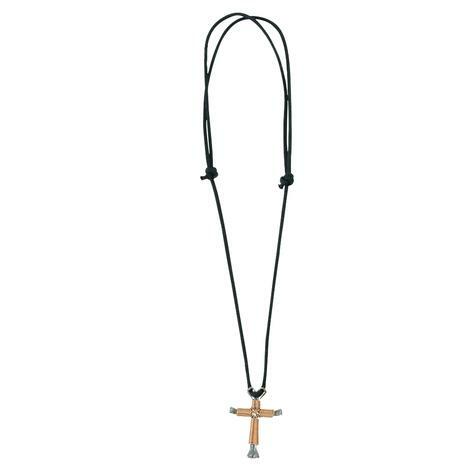 This necklace will make a perfect gift for your family or friend in Christ. This necklace is simply beautiful and would make a great gift idea. The cross has a western engraved design on both sides with a fleurette in the center. This is silver electroplated and coated with a protective finish to prevent tarnishing. The chain measures 16". 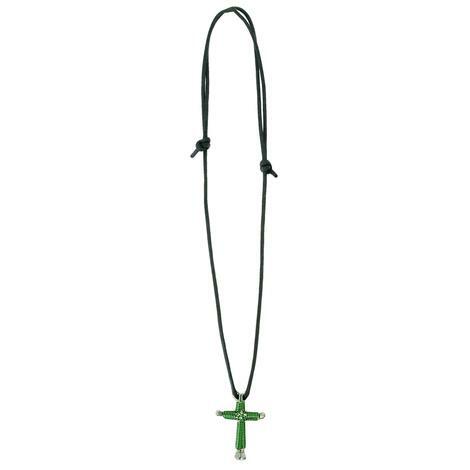 This Montana Silversmith two toned cross is perfect for the person who wants to show their faith. 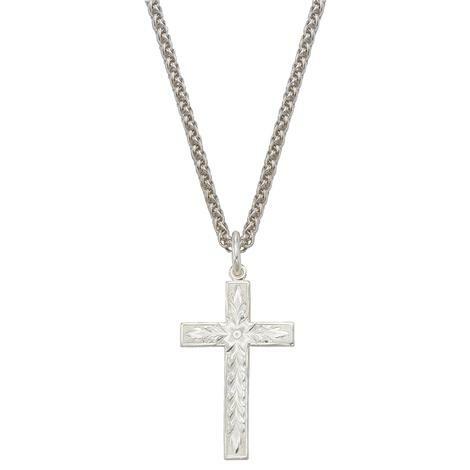 The cross is deeply antiqued with a center rope design and silver tone microbeads. The chain measures 28". This curved rectangular black nickel finished link necklace is a beautiful piece whose true beauty only comes through completely when worn. 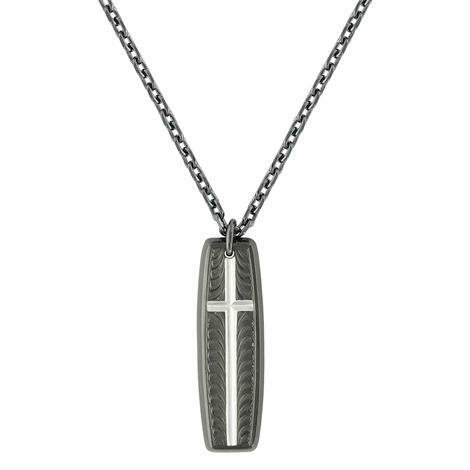 A center thin silver finished cross shines with a bright cut engraved waves crest out from the cross finished in black nickel. 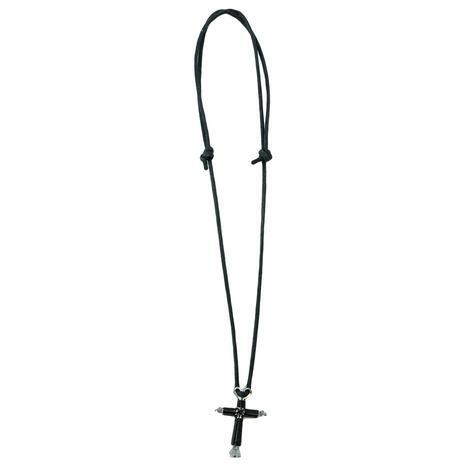 The Pendent is on a black rhodium matinee length 28" chain. 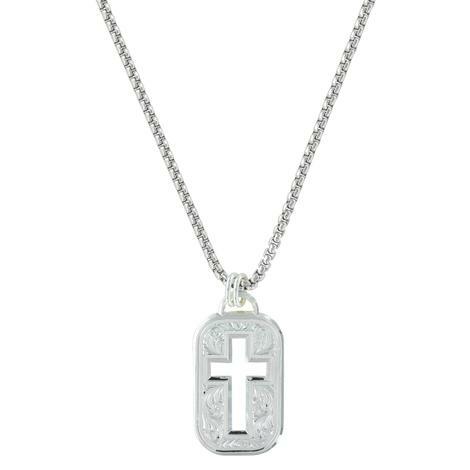 This necklace by Montana Silversmith has a rounded rectangle token and a classic bright cut western engraving design that flows around a sharply defined cross shape cut out. The pendant hangs a double loop bail on a 20" box chain. This is an intricately designed cross by Montana Silversmith. 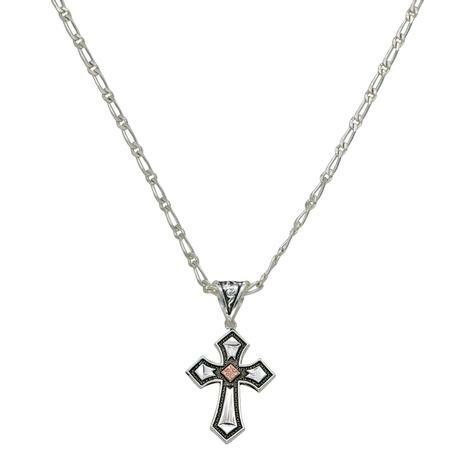 The cross features a copper diamond in the center of a silver cross with antiqued stippling. 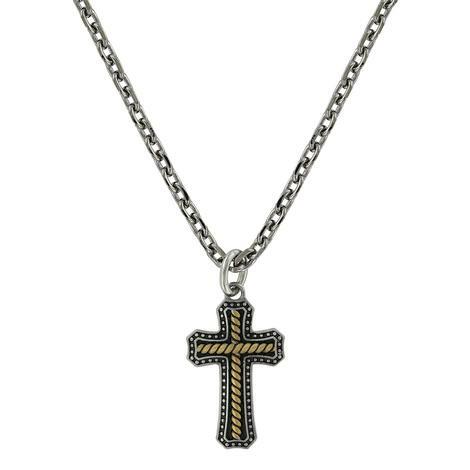 This cross hangs on a beautifly antiqued 18" Figaro chain. This extremely popular ring is Grey with a Orange interior allows subtlety and style all at once. 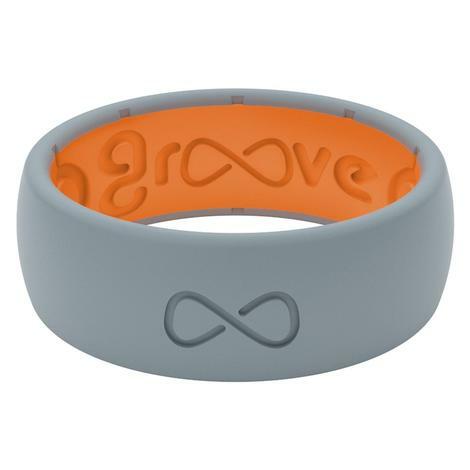 The Groove Technology allows your ring to breath while maintaining comfortability. The medical grade silicone ensures that your ring will remain flexible and comfortable no matter what it goes through. This extremely popular ring is Deep Stone Grey with a Glacier Blue interior allows subtlety and style all at once. 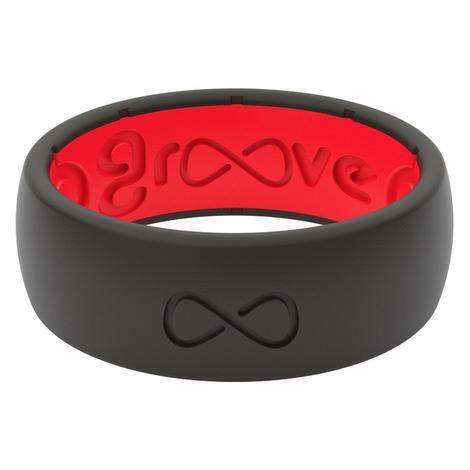 The Groove Technology allows your ring to breath while maintaining comfortability. The medical grade silicone ensures that your ring will remain flexible and comfortable no matter what it goes through. This extremely popular ring is Black with a Raspberry Red interior allows subtlety and style all at once. The Groove Technology allows your ring to breath while maintaining comfortability. The medical grade silicone ensures that your ring will remain flexible and comfortable no matter what it goes through.